Throughout his life, Dean Williams has used his many talents and skills, mixed with his passion for helping others, in every job he’s had. 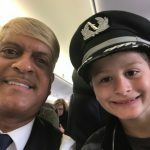 Yet, no other career has utilized his abilities quite like his position as an Envoy Flight Attendant. From an early age, Dean was mesmerized by airplanes and looked forward to every Christmas when he would get to travel on one. If it weren’t for his love for travelling the world and collecting model planes, Dean might be somewhere fighting fires or building homes for the homeless. 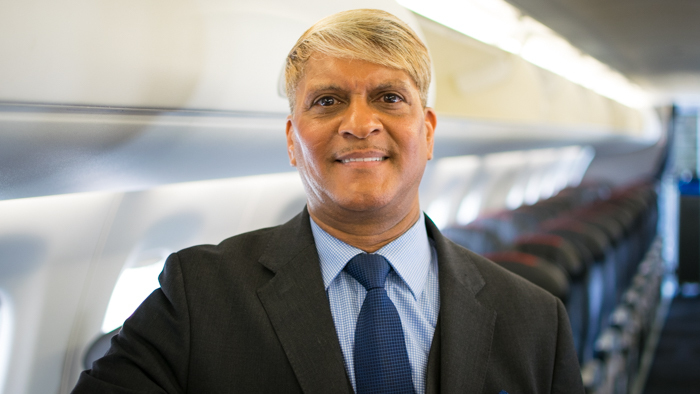 His compassion and desire to help people any way he can is what ultimately makes him the perfect flight attendant. 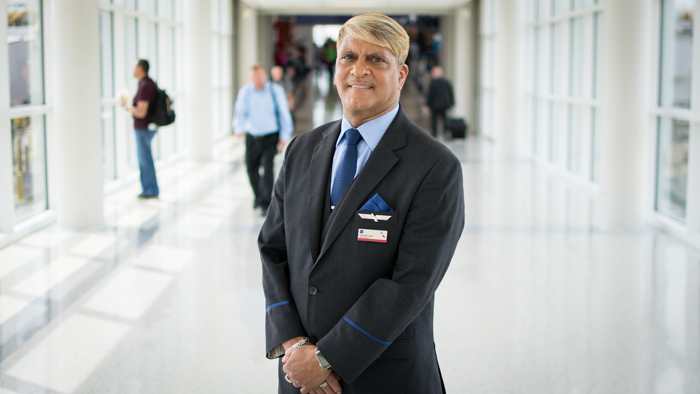 His customer service is lauded by passengers and coworkers alike, and it’s something Dean said starts with the attitude he brings to work every day. Simply having that passion won’t make someone a good flight attendant. They have to possess the skills and confidence to execute every task safely and with a focus of elevating the passengers’ experience. For instance, Dean gives his customers the benefit of the doubt if ever he’s confronted by someone who is grumpy or rude. He figures that they may have had a bad day, and it’s up to him to make their day better. Dean remembered one customer who was especially sick on the plane. Instead of ignoring the customer, he brought him ice chips, ginger ale, and a blanket and suggested he take the empty row in the back of the plane to lie down. Afterward, the customer’s mother went up to Dean and thanked him full-heartedly for his attention to her son and going way out of his way to make him feel better. Before applying to Envoy, Dean was a flight attendant for another regional airline. So, when he applied for a position as a fleet service clerk at DFW airport three years ago, he already had in mind that he would work his way up to become a flight attendant. 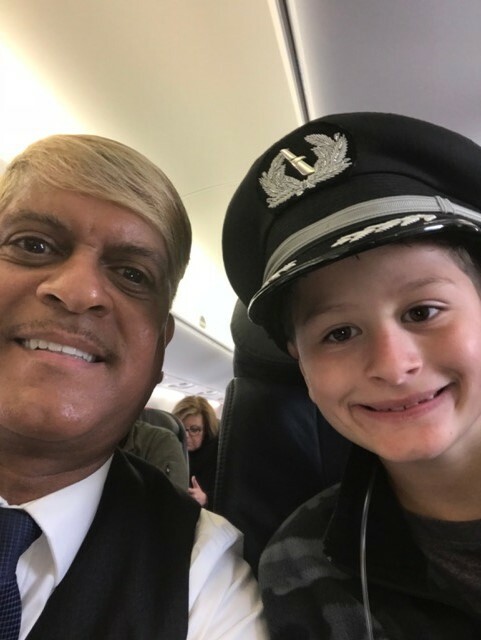 His desire to travel and “get back in the jumpseat” is what he said called him back to flight service, but it’s the family-like atmosphere at Envoy that keeps him right where he is. In fact, Dean has never thought about working for a major airline, because he’d rather have a close-knit group of friendly coworkers than fly to far-flung destinations across the globe. A native of Bermuda, Dean moved with his family to the U.S. when he was six years old. As is the norm with children of military parents, Dean moved all around the country and beyond from New Mexico to Panama to New York City to North Carolina, with his father serving in the U.S. Air Force. Soon after 9/11, when Dean was living in New York, he was inspired to volunteer with the fire department. There he learned C.P.R. and contributed to his passion to serving others, which both would eventually come in handy as a flight attendant. Dean is also highly skilled with his hands. In Charlotte, where he moved to help his mother battling with cancer, he taught himself basic home improvement skills that blossomed into a home-remodeling business. Today, in the Dallas-Fort Worth area, Dean continues to work on home improvement projects when he’s not flying. But his first love will always be the sky. 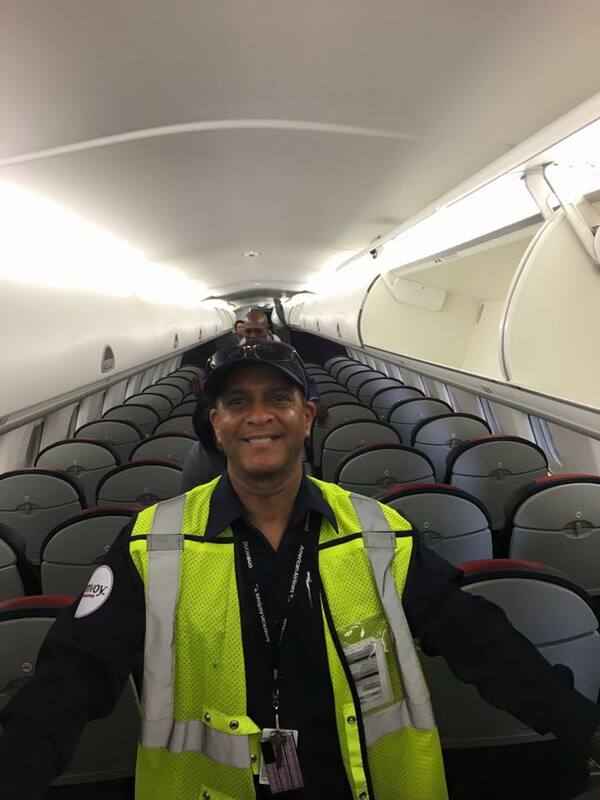 As an on-the-job instructor for Envoy, he tells his new flight attendants that they need to relax, stop and focus on the task at hand, and think about what’s the best way to safely go about executing that task.